Mostly, Bill serves as an advisor, counselor and confidante, where his keen interest in people is apparent in his big-picture perspective and personal touch. You can find a lawyer to put together a good set of documents, but Bill is committed to much more than that. He strives to provide innovative and effective solutions to assist his clients with their varied and complex business and personal needs. Bill’s commitment requires more focus and energy, but is one that is most rewarding for him as a legal professional. Bill takes great pleasure playing a role in the success of businesses, and in making personal lives more secure. Admitted to bar, 1994, Florida. University of Miami (B.B.A. in economics, 1991; J.D., with honors, 1994); University of Florida (LL.M. in taxation, 1996). Associate Member: University of Miami Inter-American Law Review, 1993-1994. Phi Delta Phi, 1993-1996. 2017, Super Lawyer, Super Lawyers Magazine, Thomas Reuters; 2005, 2009, 2012-2015, Legal Elite, Florida Trend magazine; 2015, Super Lawyer, Super Lawyers magazine, Thomson Reuters; 2014, Top Rated Lawyers in Mergers & Acquisitions, ALM and Martindale-Hubbell; 2011 nominated for Most Influential Businessmen, Orlando Business Journal; 2011, Top Area Corporate Lawyers, Orlando Home & Leisure Magazine; 2007 and 2008, 40 Under 40, outstanding young executives, Orlando Business Journal; 2007, Best of the Bar, Orlando Business Journal. Member, Board of Trustees, Junior Achievement of Central Florida Foundation, Inc.; Advisory Member, Board of Trustees, Lake Highland Preparatory School Foundation; Member, Board of Directors, Mark and Margery Pabst Charitable Foundation for the Arts; Board of Directors and Secretary, Harvey and Carol Massey Foundation, Inc.;Founding Member, Board of Trustees, and Chairman of the Board, St. Luke’s Lutheran Church and School Foundation, Inc.; Member, Board of Trustees, The Bryan W. Judge and Minnie C. Judge Foundation; Member, Board of Directors, and Vice Chair of Legal & Compliance of International Financial Operations, Inc., International Financial Operations Foundation; Member, Florida Bar (Tax Section); Member, Association for Corporate Growth; and Member, Florida Citrus Sports. “Planning for the Uncertainty Behind the Certainty of Death and Taxes,” Duda Shareholder Education Session, 2011, Oviedo FL; “Incentive Planning For Your Lineal Descendants,” SunTrust Bank, 2009, Orlando, FL; “Structuring, Operating and Strategic Planning for Your Department of Defense Contracting Company,” 2008, High Technology Incubator at UCF; “Maximizing the Value Of Your Business,” 2004, Orlando, FL; “Major Considerations in Structuring a Joint Venture,” 2004, Orlando FL; “The State of Estate Planning,” Smith Barney, 2003; “Choice of Entity for Acquiring Commercial Real Estate,” Orlando Business Journal, 2001, Orlando, FL; “Buying and Selling a Business in Florida: The Role of Attorney,” Lorman Education Services, 2001, Orlando, FL; “Devising an Integrated Succession Plan for the Family Business Owner,” Central Florida Society of Financial Service Professionals, 2001, Orlando, FL; “Florida Estate Planning,” Lorman Education Services, 2000, Orlando, FL; “Charitable Remainder Trusts – Everything You Need to Know and More,” AXA Advisors, LLC, 2000, Orlando, FL; “Solutions to the Repeal of the Installment Method for Accrual Basis Taxpayers,” Business Brokers of Florida, 2000, Orlando, FL; “Organizing Your Business and Business Succession Planning,” Orlando Business Journal Seminar, 2000, Orlando, FL; “Advanced Estate Planning Vehicles,” Lorman Education Services, 1999, Orlando, FL; “Section 419 Plans,” Central Florida Society of Financial Service Professionals, 1999, Orlando, FL; “Basics of the Transfer (Estate and Gift) Tax” and “What’s New and What’s Left in Sophisticated Estate Planning,” National Business Institute, 1998, Orlando, FL; “Business Succession Planning” and “Sophisticated Charitable Planning Techniques,” Phoenix Life Insurance Company, 1998, Orlando, FL; “Tax Issues in Long-Term Health Care,” Poe and Brown, 1997, Daytona Beach, FL. 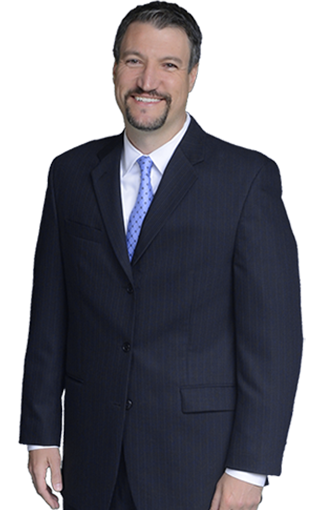 In addition, Mr. Lowman has spoken on numerous other corporate, tax and estate planning topics, dating back to 1997.